Well, the site is back in operation. Looks like somebody paid the bill. 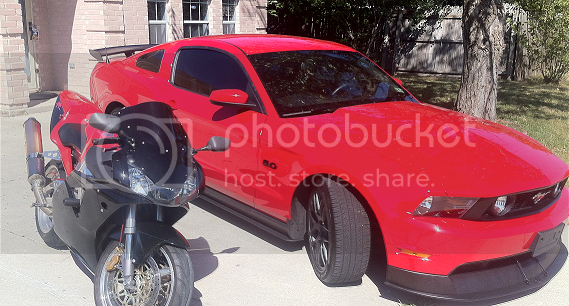 2012 Race Red Mustang 5.0 with JLT CAI, Catless midpipe, Pype X Pipe and Axle Backs. Bama Tuned. RTR chin splitter, Roush side effects and rear diffuser, and Steeda spoiler. Ha ha, sorry about that. I was slacking.